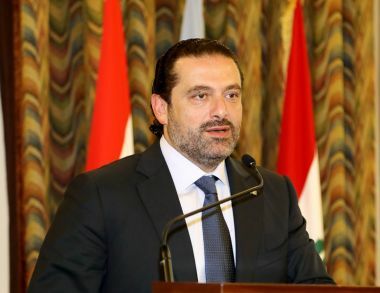 Lebanon - The President of the Council of Ministers Saad Hariri expressed Lebanon's condemnation of the decision to transfer the US embassy to Jerusalem. He said: "On the eve of Nakba Day on May 15, the U.S administration declares another catastrophe day, May 14. On this day, we reaffirm our rejection of the decision to consider Jerusalem the capital of Israel. We also consider the transfer of the American Embassy to Jerusalem a step that puts all peaceful tracks in the region in front of a dead end. I express my deepest regret at this decision that provokes the anger of hundreds of millions of Arabs, Muslims and Christians, inflames violence, allows the Israelis to spill the blood of more innocent Palestinians, and increases the intensity of extremism that threatens the world community in all its countries and peoples. We condemn this provocative step that exacerbates the conflict and the terrible acts of oppression and massacres perpetrated by Israel against the Palestinian people. We reaffirm our full solidarity with the Palestinian brothers in their legitimate struggle and call on the international community to act quickly to stop these horrific massacres and help the Palestinians establish an independent Palestinian state with Jerusalem as its capital."